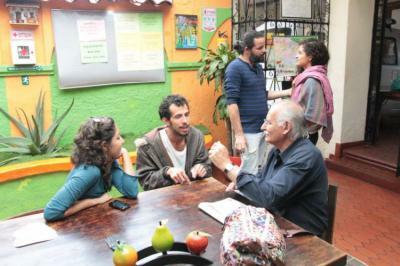 Bogota – Hostels in Bogota. 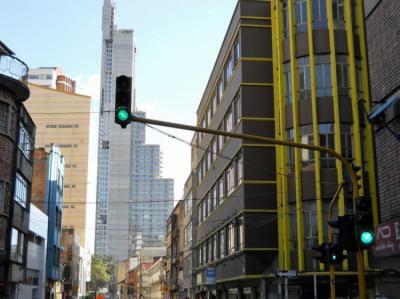 Maps for Bogota, Photos and Reviews for each hostel in Bogota. 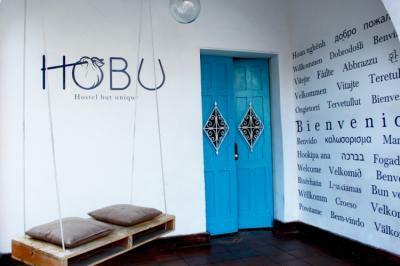 Looking for a hostel in Bogota? 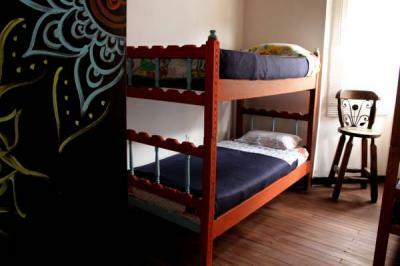 Look no further, all the good deals in Bogota are on Dorms.com. Like thousands of other people every month, book your hostel securely at the best price in all neighbourhoods of Bogota. 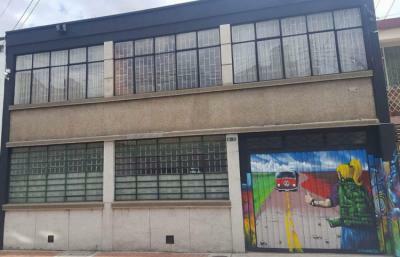 On this site, you can easily find a hostel downtown, in a trendy neighbourhood; a hostel in the student- university district, close to bus or train stations, airports or major attractions of Bogota. We are a few minutes walk from the Gold Museum, Bolivar Square, Botero Museum, Quevedo jet - place where Bogota was born. Near by you can find excellent restaurants for all budgets, pubs, night clubs and theaters. 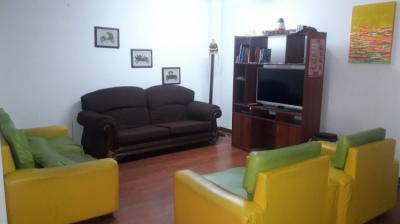 Chocolate Hostel is very near the most emblematic Universities in Colombia for those who come to study. This hostel has a good common area and well kitted kitchen. The beds are very comfortable! Good breakfast. 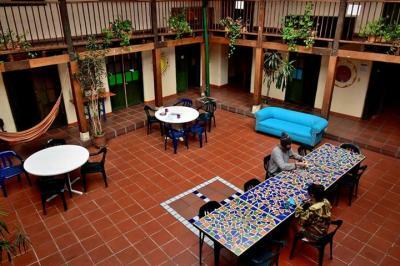 It is a quiet and chilled hostel. Charming! Lovely high ceilings in our room with nice beams. Nice bed, lots of tasteful furniture in the room and the place in general. TV was fun. Staff were friendly. Like the plants around. Breakfast was decent, egg and croissant with hottish chocolate (I did a little re-heat and was great) (gave the croissant a little toast as well actually which is worth doing) great value. I recommend. How do i rate this hostel after 5 nights staying there. Character: all rooms surround the patio. That cause a lot of noise for the people who want to sleep as the walls and doors are nothing more than a view protection. But also for the people who just want to have a chat it&apos;s an annoying situation because the patio is the only place to hang around. Provided hammocks were good though. Security: We were not offered any lock when we arrived to lock our private room. We used our own padlock. Maybe they have some maybe not. None of the staff told us. What we have seen, the dorms have lockable space. Staff: friendly but useless, as they barley speak any english or help you out with tourist informations, not to talk about a city map. There is nearly no interaction between staff and guests. As an example: They offered BBQ for New Years Eve which we liked to join, but they cancelled it without any notice. For tourist information go to Plaza Bolivar. The people at the tourist information are helpful, hand out a tourist map and explain everything. Location: Te location is very good, but some people might find that the area „La Calanderia“ in general is scary especially at night, caused from plenty of homeless and strange people walking around. Cleanliness: Nothing to complain about. All in all a lot of complaints. Free wifi, free breakfast and nice hammocks don&apos;t make this place a good hostell. A lot of improvement have to be done especially with the staff. It was kind of funky. It was clean and the breakfast was decent. The pricing was fair. The bed was comfortable with plenty of blankets. Good common areas. Decent location. I liked the location and the communal areas. Free internet and wifi and a free hot breakfast. very easygoing. A fun time in Bogota!! There are common kitin and free wi-fi. We stayed for a night, and we were able to get the good night sleep needed. Room was clean and beds were comfortable. The staff were helpful. Location is perfect, it was close to everything we needed to go to. Good breakfast to start your day, and good price! I like the neighborhood too! Friendly and helpful staff, they really try their best. The location was very good. The rooms were clean, and beds were comfy. Hot shower working, with good water pressure. Its basic, clean, and affordable. We were welcomed with so much warmth, and left with a heavy heart. We wished we could extend, but we just really have to visit again. Their staff are truly amazing. The rooms was clean, and cozy. The bathroom was clean too, and unlike other hostel that are tiny. I love the atmosphere, it was very relaxing. I miss the place, and can't wait to go back. Good location, its in a nice neighborhood. The staff were nice, and helpful. They were always more than willing to help. The common areas are clean, and so are the rooms. Beds were comfy. The food was ok. Overall, we had a good experience. Thank you!! La Candalaria and El Centro are a comfortable 20-minute walk away or 8 minutes by taxi. La Soledad is a safe uptown neighborhood with a thriving artist community and ample selection of bars, restaurants, and theaters. The staff was great and the rooms clean. Hostel very nice with a great breakfast. The price is really great, with what you get. We were treated really well, the room was clean, the bed was comfy, the pillow was soft, and the location is great. Their staff were really amazing. I fell in love the moment i stepped in. Staff were very kind and helpful, the breakfast was lovely, the wifi is working well, location is great, clean and comfy room/bed. I wish to go back someday. Around us, you can find the area To zona rosa, shopping centers, the best restaurant in Bogota (10 minutes walking), cinemas. Very close to Transmilenio station "El Polo", 20 minutes walk from Chapinero, 10 minutes walk from Zona Rosa. The hostel San Diego is the ideal place to enjoy the best tourist sites of Bogota, since it is located a few meters from them. Staff was super nice and the rooms clean. Close to bars as well. Nice location close to public transportation. I recommend. This hostel in Bogota is neat the hostorical center of Bogota. Clean and safe. Great for backpackers. The staff was very nice. They helped me a lot so I can enjoy my stay. I felt safe. I recommend.